Call Advisor helps you to identify unwelcome calls such as unsolicited telesales and possible scams. 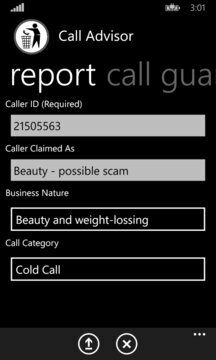 This app does not block calls automatically due to Windows Phone OS limitation. Instead we import junk call blacklist into your phone as Contacts. 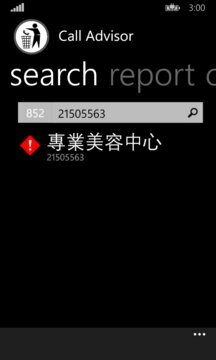 It won't mess with other contacts because Windows Phone creates independent storage room for each apps for contacts storage. You will need to check back regularly in order to keep the database on your phone up-to-date. By installing this application software, you agree with the Terms and Conditions which is available on www.hkcalladvisor.com. Please buy this app to show your appreciation.